If you’re planning a summer holiday, now is the time to gear up. For all those who enjoy snorkeling, having a good mask is the priority. And you probably already know that one of the most important things you need when snorkeling is to breathe as normally as possible. Ocean Reef Aria Full Face Snorkel Mask features internal ventilation that allows unrestricted breathing. In other words, you can breathe through either the nose, mouth or both. Of course, this is not its only feature. 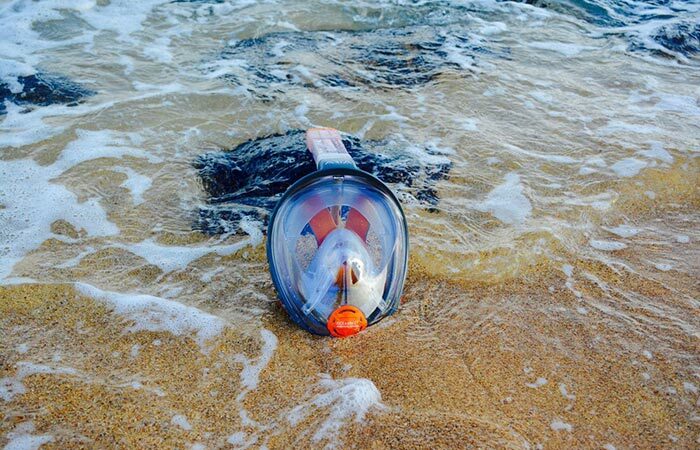 Ocean Reef Aria Full Face Snorkel Mask has many other practical solutions for a great snorkeling experience. For example, the purge valve is designed to seal as soon as you go deeper in the water and this way keep the airway completely dry. 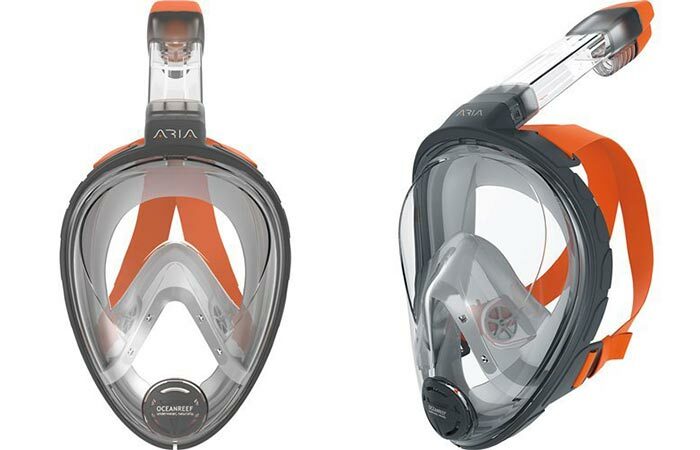 With internal ventilation, Ocean Reef Aria Full Face Snorkel Mask allows you to breathe normally, as you usually would. Also, with an 180° Panoramic View, Ocean Reef Aria Full Face Snorkel Mask will make you see more than you usually would. This is great for exploring the sea life without the snorkel fogging up. So, you can inhale and exhale normally, and the snorkel will stay fog free. Perfect for spending a long time in the water. 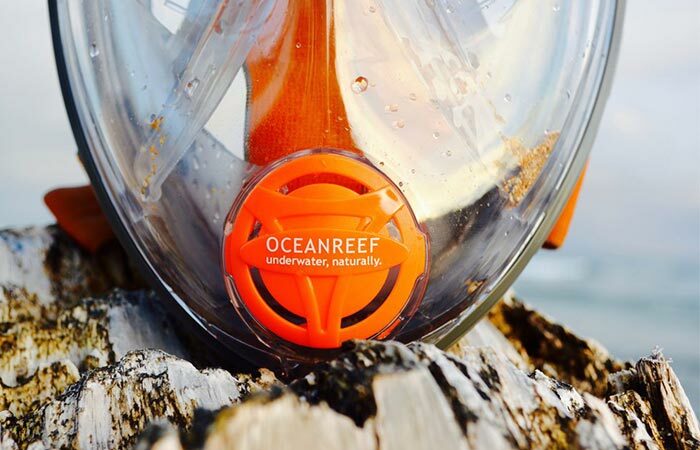 Ocean Reef Aria Full Face Snorkel Mask features an 180° panoramic view and is designed to be fog free. Not to forget the dry-top snorkel design that protects you from distraction. When a wave crashes, it will protect the airway, so you don’t have to think about anything else but to have fun and explore. Ocean Reef Aria Full Face Snorkel Mask comes in two sizes- small/medium and L/XL. It weighs 1.7 pounds and comes in a nice orange color. The dry-top snorkel design protects the airwave and the purge valve ensures it stays dry when you go to deeper water.